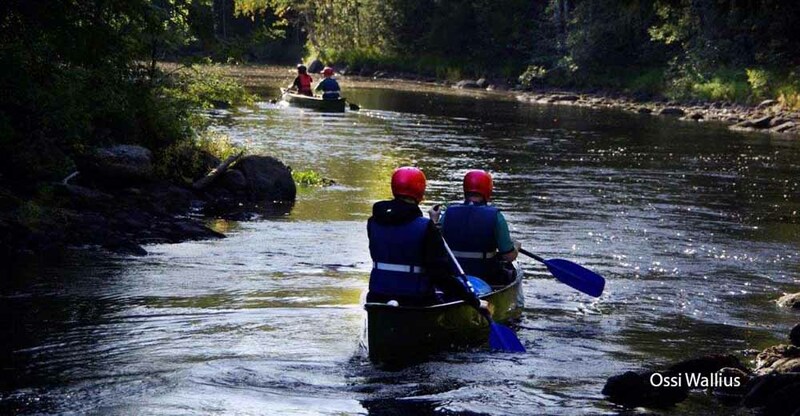 130 km north of Joensuu, 10 km south of Nurmes, Lake Pielinen 25 m (871,2 km²), shallow, sandy bottom, which is suitable for children. Own shore, rowing boat, large jetty. 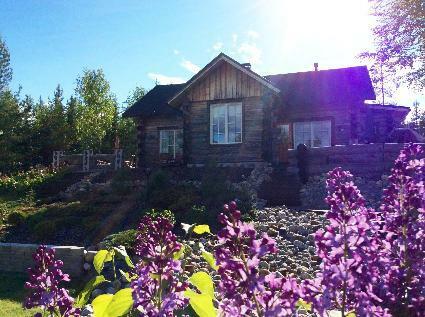 Log cottage, built in 2005, kitchen-living room, utility room, master bedroom with queen-size bed as well as walk-in-closet and full master bath with a tub, shower room and toilet. Also downstairs an other bedroom with 2 beds. Upstairs an open loft with a sleeping corner with a queen-size bed and an extra bed. 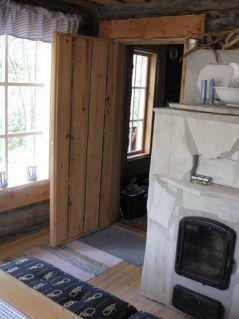 There is a separate, shore-side sauna with a relaxing room fitted with a fireplace including to the price. Water to the shore-side sauna must be carried from the lake. 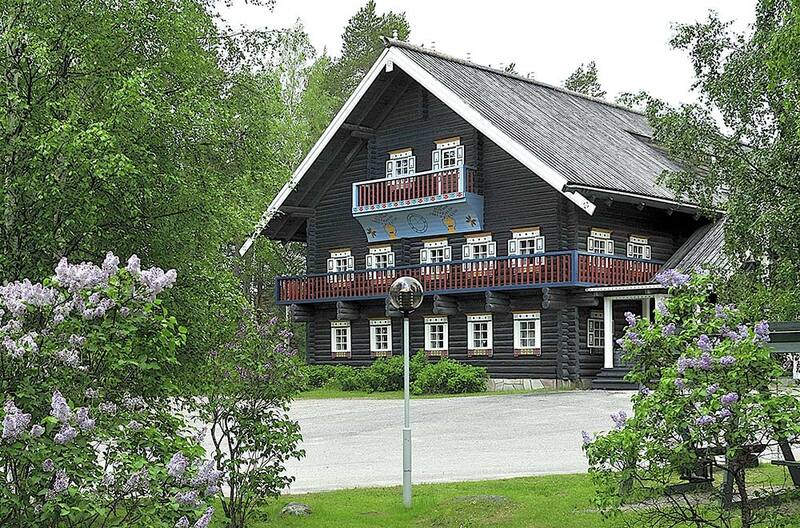 In the separate guest house there is a sauna with electric heated, always-ready-to-use stove and shower. You can rent this electric sauna for ectra price. If you have pet, please, ask always beforehand is it allowed to take to the cottage. 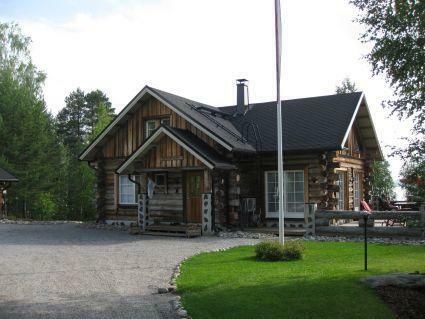 High standard log cottage at the lake Pielinen in Nurmes. In the main building there are 2 TVs (flat-screen and traditional), home-cinema equipment, 3 inverters (airco/heating) a exercise cycle and board games. 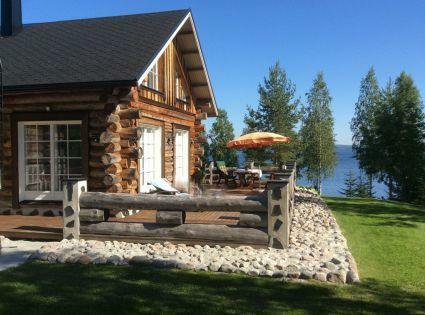 At the property there are also a guest house (for extra price), a water-front sauna including to the price, a garage-firewood storage, and a grill hut. All buildings are made of massive logs. The use of the large indoor deck, sauna (with electric heated, always-ready-to-use stove) and the bathroom of the guest house (60 m²) is rented for the extra price. Please advise the owner 2 days before your arrival at the latest if you would like to rent the electric sauna. In the guest house, there is also a full-range kitchen and upstairs a panorama-bedroom with a queen-size bed and these can be rented at an extra cost for max 4 persons. In the kitchen of the guest house there is a convertible sofa, a ceramic cooktop, dishwasher, microwave/multi-use oven, fridge as well as a water cooker, coffee maker and a toaster. There are also 2 air inverters in the guest house. If you would like to rent the whole guest house including the kitchen and the panorama-bedroom, the booking has to be made for the same period as for the main building. There is a large garden with plenty of flora. A large indoor deck in guest house as well as 3 large wooden decks around the main building and the guest house. Two beaches whilst the water-front sauna has also a beach of its own. A large wooden jetty for the water-front relaxation as well as for docking a boat. 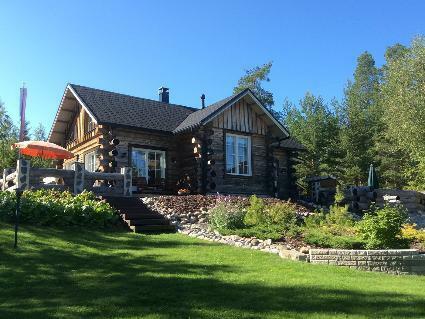 There is gas BBQ at the guest house deck as well as a log hut for grilling at the property. There are skiing tracks on the ice nearby connected with the skiing track network of Nurmes. It is possible to order catering service to the cottage. Reservations start at 16.00 and end at 12.00 (also in weekend bookings). Final cleaning and bed linen include to the price. During 27.12.2015-11.1.2016 the whole guest house with electric sauna is including to the week price. The owner can charge from the clients guaranty fee 300 euro. Guaranty fee will be returned to the clients by departure.